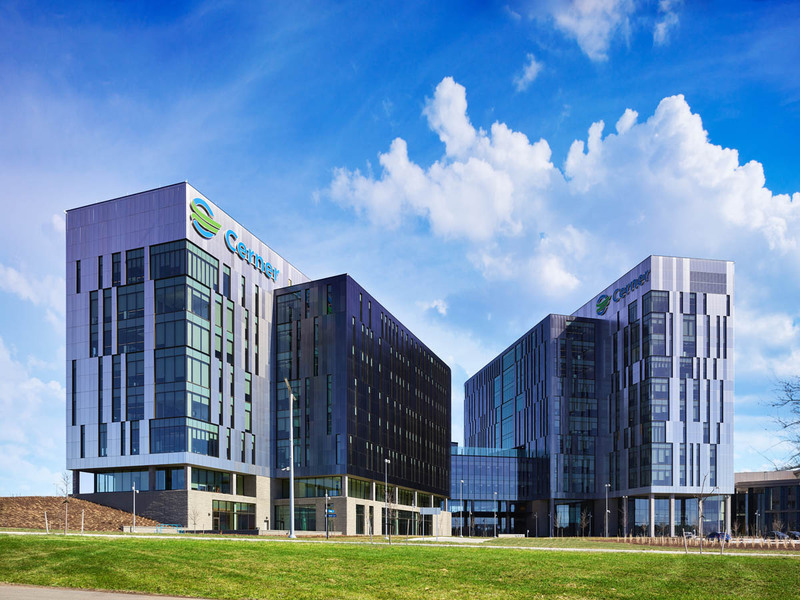 JE Dunn recently completed phases I and II of a 12-year master plan for the new headquarters of Kansas City-based Cerner Corporation, a leading provider of healthcare technology services. 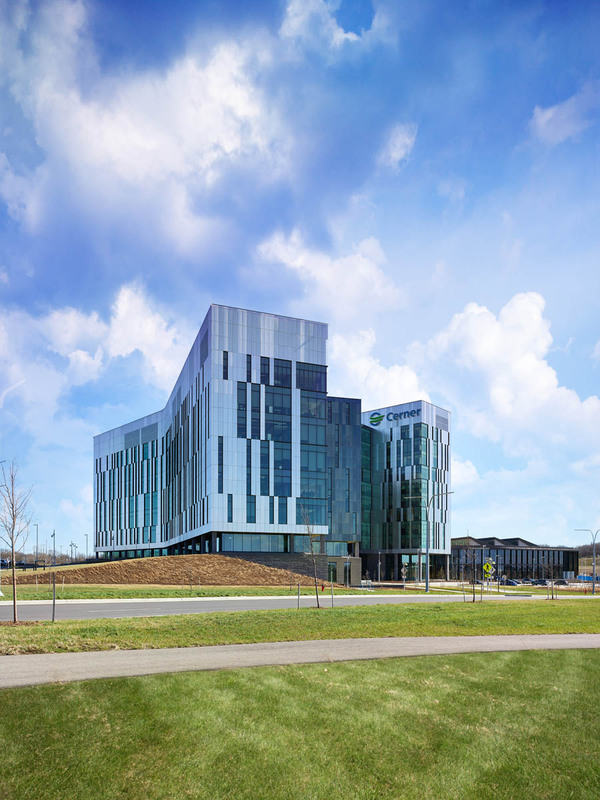 Reflecting the intersection of healthcare and technology, features woven throughout the Innovations Campus are designed to reflect Cerner’s values and industry, like the facility windows, which are modeled after the double helix structure commonly associated with strands of human DNA. 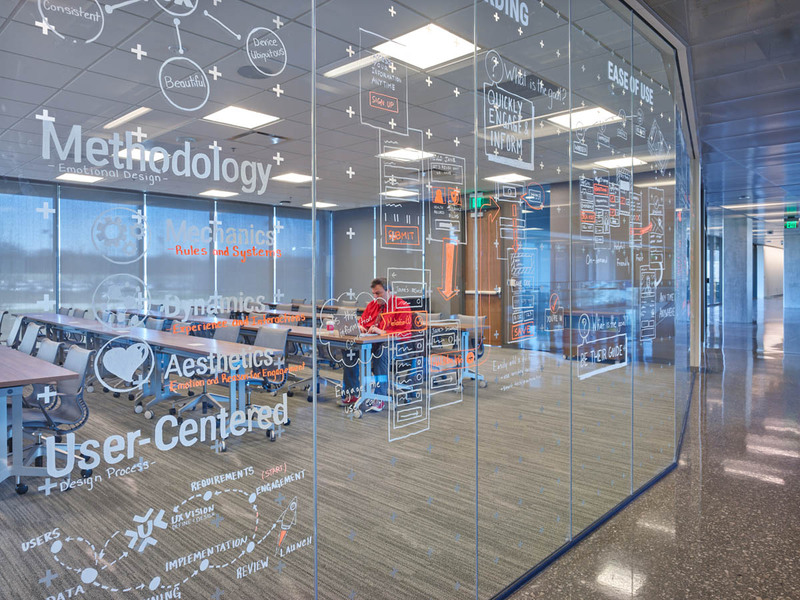 “Neighborhood nodes” within the Innovations Campus’ office spaces feature their own personalities to help software engineers focus, innovate and be more productive. 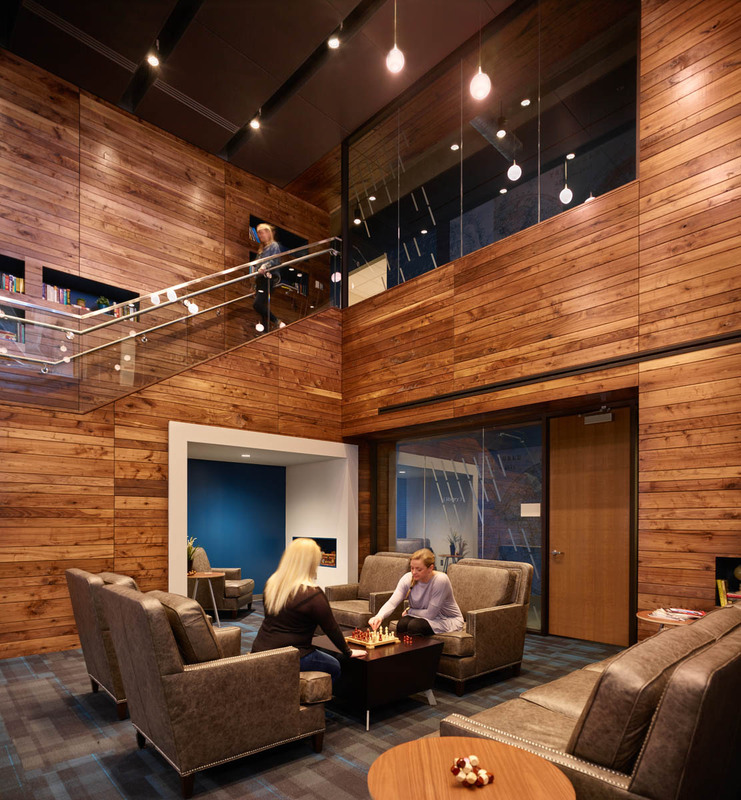 These include various feature such as a library, gaming area, think tank and maker space for more hands-on creative pursuits. Helping reduce project schedule and improve efficiency is our proprietary digital model-based estimating tool, Lens. Developed by JE Dunn in partnership with Microsoft and Autodesk, Lens enables project teams to visualize cost impacts by creating a visual tie between the estimate and the virtual model. 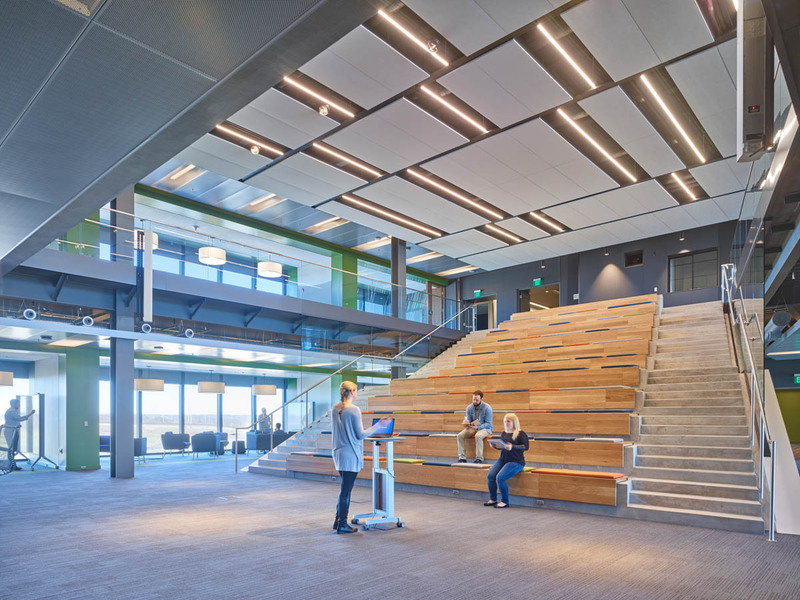 Other tools, such as Dunn Dashboard, enable further digital collaboration, from the field to the office, on a number of construction documents. 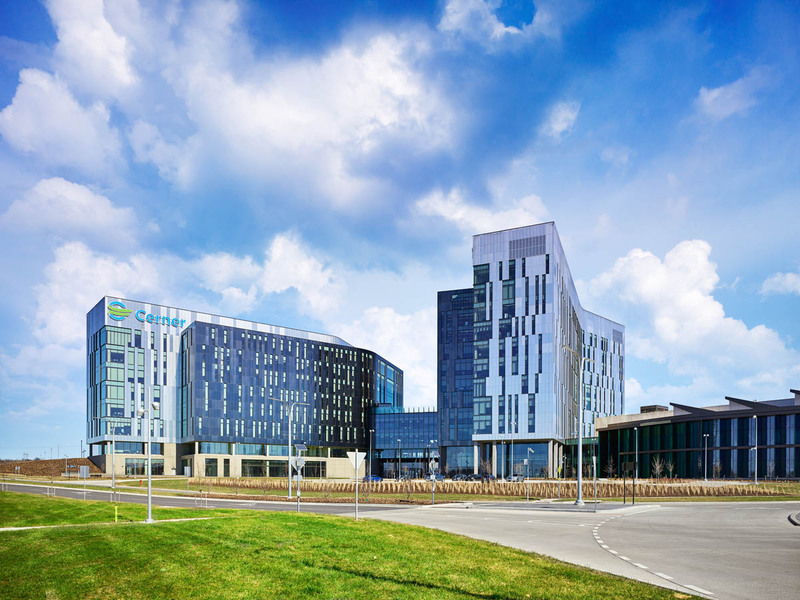 A crucial design partner, Gould Evans has been instrumental the in success with these tools and success of the overall project.